Because sports management is one of America’s most sought after careers, there are literally hundreds of programs degree programs available. We can’t list them all here, but what we can do is offer a list of 10 schools that are considered among the best online schools for aspiring sports managers. The schools are listed in alphabetical order, beginning with California University of Pennsylvania. 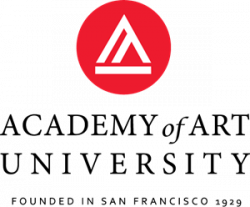 Founded in 1852, California University of Pennsylvania (Cal U) serves more than 7,300 students enrolled in 100+ undergraduate majors, degrees and certificates, 95+ graduate and professional degree and certificate programs, and 75+ programs delivered 100% online. The University is organized into four colleges: the College of Education and Human Services, the College of Liberal Arts, the Eberly College of Science and Technology, and the School of Graduate Studies and Research, which offers four programs for aspiring sports managers. The school offers MS degrees in Sport Management Studies, Sport Management Studies: Sport Management, Sport Management Studies: Strategic Sport Analysis, and Sport Management Studies: Intercollegiate Athletic Administration. Per the school, students in the program receive “a sound management foundation in the sports industry, learning from top faculty experts in Pennsylvania and across the country.” Students have the option to join the accelerated cohort, which allows students to earn their degree in just 13 months or the traditional cohort, which allows students to earn their degree in 17 months. California University of Pennsylvania is a public university accredited by the Middle States Commission on Higher Education. For perspective, the business programs are accredited by the Accreditation Council for Business Schools & Programs (ACBSP). Established in 1891, Drexel University serves nearly 29,000 campus and online students enrolled in over 200 degree programs across 15 colleges and schools. LeBow College of Business offers an MS in Sports Management that, “integrates the sports application of law, economics and finance, marketing, media, and promotions with a top-notch business curriculum,” says the school. Course highlights include Leadership in Sport Management, Social Issues in Sport, Sports Industry Management, Sport Media & Public Relations, and Sport Media & Technology. The experiential component of the program allows students to choose one of the following: Sports Industry Practicum, Project/Research Thesis, Seminar in International Business, and Independent Study in SMT. Graduates of the program are prepared for careers in professional or college sports, or with sports marketing firms, sports agencies, and other sports organizations. Drexel University’s educational programs are accredited by MSCHE (Middle States Commission on Higher Education). LeBow College of Business is accredited by AACSB International – The Association to Advance Collegiate Schools of Business. Course highlights for the program include Business Storytelling and Brand Development, Entertainment Business Finance, Executive Leadership, Legal Issues in Sports, Mastery: Personal Development and Leadership, Negotiation and Deal Making, Sports Management Operations, and Sports Marketing and Sponsorship Sales. Course highlights include Current Trends in Sport Administration, Financial & Strategic Management in Sport, Revenue Generation in Sport, Sport Administration, Sport Facility and Event Management, Sport Law and Risk Management, and Sport Marketing. Future sports managers who graduate from the program will be prepared for success in various sectors of the sport industry including athletic leagues and associations, professional teams or collegiate athletic departments, sport facilities and event management, sport marketing, promotion, or advertising, sports information, media, or communications, state and county sports commissions, and The Olympic Movement. Georgia Southern University is accredited by the Commission on Southern Association of Colleges and Schools Commission on Colleges (SACSCOC). For perspective, the College of Business has undergraduate and graduate accreditation through the Association to Advance Collegiate Schools of Business (AACSB) International. Founded in 1865 as Indiana Sate Normal School, Indiana State University (ISU) serves nearly 14,000 students enrolled in more than 100 majors leading to the bachelor’s master’s, doctorate and education specialist degrees. Programs are offered through six colleges, including the College of Graduate and Professional Studies, which offers an MS in Sport Management. Graduates of the program are prepared for careers in the sport industry’s three primary employment segments: performance, production, and promotion. Specific job opportunities include athletic director, fitness club manager, marketing director, park superintendent, sports agent, and sports information director. Indiana State University has been accredited by the Higher Learning Commission (HLC) since 1915. For perspective, the Indiana State University MBA and all undergraduate business programs are accredited by AACSB International. Founded in 1905 as the Fourth District Normal School, Missouri State University is the state’s second largest campus by enrollment, with a student population of 24,390. The school offers hundreds of programs through seven academic colleges and one Graduate College. The Graduate College offers an MPS in Sports Management that can be completed entirely online. An undergraduate Certificate is also available. The program covers Finance, Budgeting and Economics, Law, Regulatory Functions and Ethics, Management and Leadership, Communication and Corporate Relations, Technology, Professional Writing, and Organizational Structure. Sample course titles include Current Problems in Sports Administration, Field Experience in Sports Management, Legal Aspects in Sports, Physical Education, Recreation and Wellness Programs, and Principles of Sports Management. Per the school, all students will “gain hands-on experience through field work – including opportunities at university athletic facilities and community partners like Hammons Field and Mediacom Ice Park.” Graduates of the program will be prepared for leadership roles in professional, collegiate and international sports and wellness programs. Missouri State University has successfully maintained continuous regional accreditation with the Higher Learning Commission since 1915. For perspective, the business programs at Missouri State are accredited by AACSB International. Texas A&M University (TAMU) is the state’s first public institution of higher learning. Established in 1876, the school serves nearly 69,400 students enrolled in nearly 400 degree programs across 16 colleges and schools. The College of Education and Human Development houses the Department of Health & Kinesiology. Here, students can earn an MS in Sport Management that does not require a thesis to graduate. Classes for the 36 credit hour program include a research core, the sport management core, electives and field experience. Students can follow a full-time or part-time schedule. Graduates of Texas A&M’s Online MS in Sport Management program will be prepared to seek positions in a variety of capacities and segments in the sports industry. Specific segments include country clubs, health and fitness clubs, collegiate athletic departments, community sports organizations (e.g., YMCA's) and professional sports organizations. Texas A&M University is accredited by the Southern Association of Colleges and Schools Commission on Colleges (SACSCC) to award degrees at the bachelors’, masters’, doctoral and professional levels. For perspective, the business programs at TAMU are AACSB accredited. University of Massachusetts Amherst was founded in 1863. The school serves more than 30,000 students enrolled in over 100 major subject areas leading to bachelor's degrees, 77 master’s and 48 doctoral programs through 13 colleges and schools. Isenberg School of Management houses the Mark H. McCormack Department of Sport Management. Here, students can earn an Online MBA with a Focus in Sport Management. 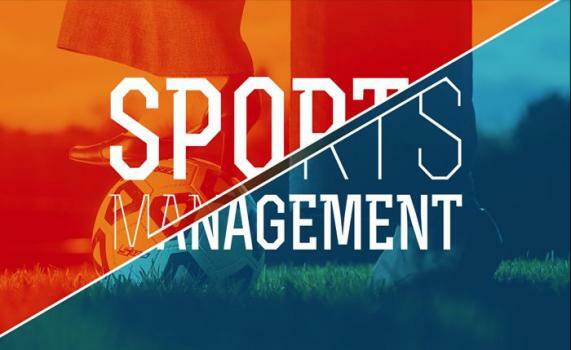 Requirements for the Sport Management Focus can be satisfied by choosing from the following electives: Advanced Negotiations for Managers, Applied Sport Market Research, Consumer Sales Strategies, Data Management for Business Leaders, Negotiations Theory & Practice, Project Management, and Sport Analytics. All courses are experiential-learning based. Students will also benefit from professional and career development advice as well as connections to the school’s network of over 3,500 alumni working in all segments of the sport industry. The University of Massachusetts campuses at Amherst, Boston, Dartmouth, Lowell, and the Medical School are accredited by the New England Association of Schools and Colleges. Isenberg School of Management AACSB accredited. Founded in 1966, University of Minnesota Crookston (UMC) is one of five campuses in the University of Minnesota system. University of Minnesota – Twin Cities (U of M) was founded as a preparatory school in 1851. The state’s land-grant university, U of M serves 31,353 undergraduate students and 16,033 graduate and professional students through more than a dozen colleges and schools. UMC serves approximately 1,800 students (900 on campus and 900 online). Course highlights for the program include Principles of Management, Psychology of Sport, Seminar in Sport and Recreation Management, Sport Ethics and Leadership, Sport Finance and Economics, Sport Law and Governance Sport Facility and Activities Management, and Sport Marketing and Communication. Graduates of the programs are prepared for a range of careers in the sports industry from account manager, athletic administrator and athletic relations coordinator to sports agent, sports information director, sports administration and more. The University of Minnesota Crookston (UMC) has secured continued accreditation status from the Higher Learning Commission (HLC). The Crookston campus is accredited separately at the institutional level from the University of Minnesota's Twin Cities campus. The Business Department at UMC is an Accreditation Council for Business Schools and Programs (ACBSP) candidate for accreditation. Founded in 1890 as Washington's original land-grant university, the Washington State University (WSU) system serves nearly 31,500 students enrolled in 265 programs through 11 academic colleges. The College of Education houses the Department of Educational Leadership, Sport Studies & Educational/Counseling Psychology, which offers a BA and a Minor in Sport Management. An MA is available, but it is not offered online. The BA is a 120 credit hour program that requires 47-49 credits in Sport Management and 21 credits in an area of specialization such as Business or Communication. Sample courses for the program include Ethics and Moral Reasoning in Sport, Legal Aspects of Sport, Sociology of Sport, Managing Sport Organizations, Sport and Popular Culture, Sport Communication, Sport Finance, and Sport Marketing. Three Practicum in Sport-related Field courses are required as well as a Writing Portfolio and completion of an Internship. The 18 credit hour Minor is designed for students with an interest in sport organizations or sport-related businesses. The program consists of many of the same courses as the BA program. Washington State University is accredited by the Northwest Commission on Colleges and Universities (NWCCU). For perspective, the business programs at WSU are AACSB accredited.